It’s been SO HOT these past few days, and Otis and I started going a little stir crazy in our house in our efforts to stay cool. I decided we were going to brave the outdoors the only way possible: getting wet! I went out and got Otis a baby pool in hopes that the end result would be him lounging around in it and me joining him with a book and a cold beer. I thought he would love it since he loves the creek so much, but it turns out I was wrong. 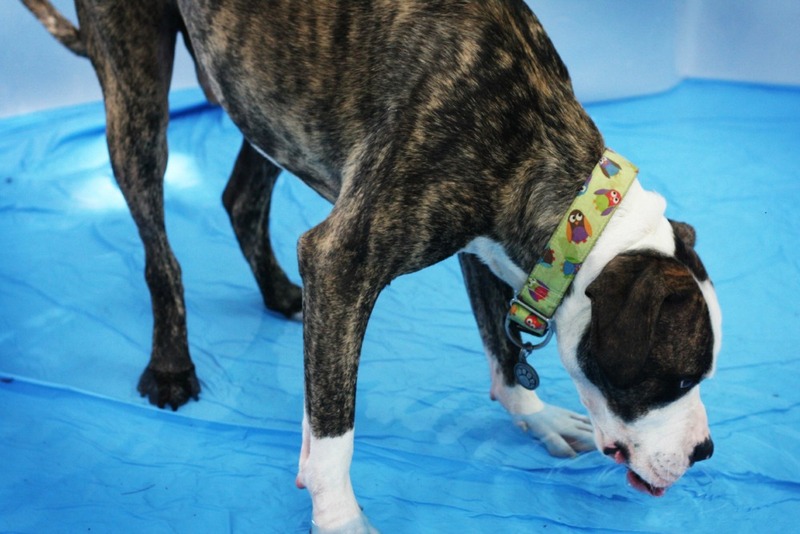 He didn’t love it, especially at first – but after a while he didn’t hate it either. He thought of it as more of an over-sized water bowl, so I decided to hop in and show him what the deal was. He was, of course, much happier with me in there with him. 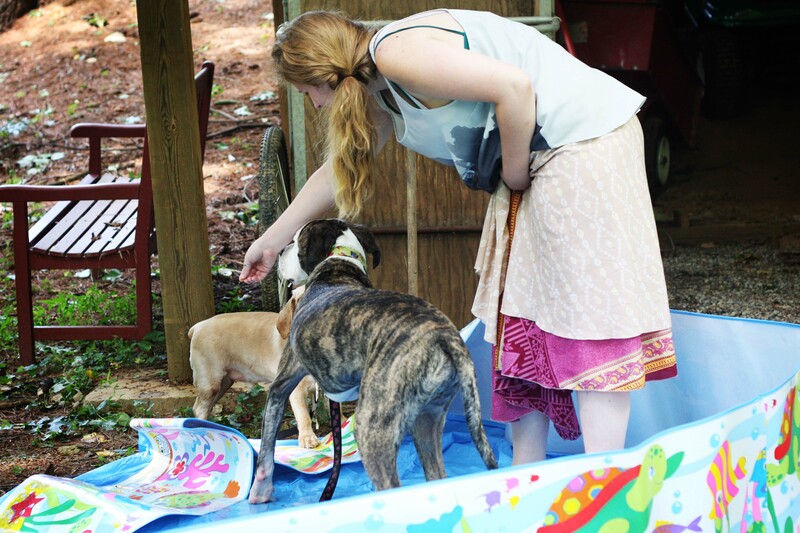 This is the best part… we had friends over to play in the pool with us! That adorable little Cocker Spaniel is my friend’s dog, Monster – more about him and his relationship with Otis later this week. 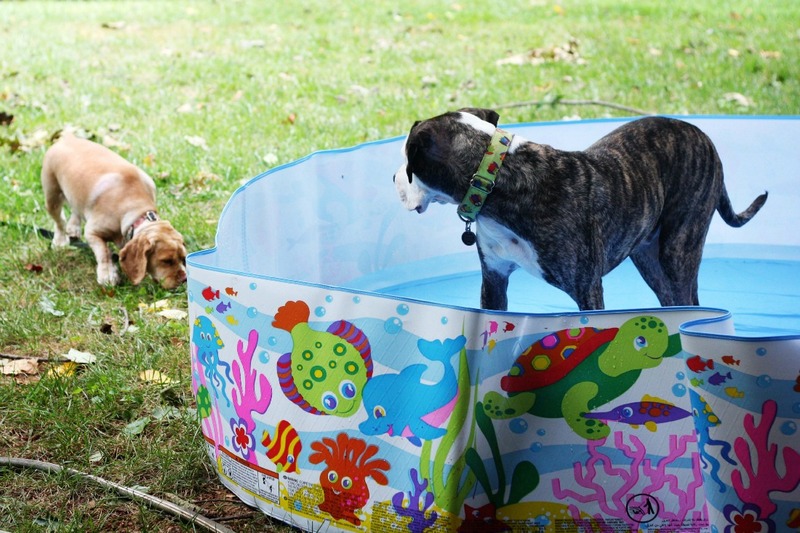 Monster and Otis were equally unimpressed by the baby pool, despite their similar love for water. It was pretty comical trying to convince them both it was a good idea to get in and roll around so we could take adorable photos they could cool off. Eventually there was some success, but it wasn’t much and it certainly wasn’t long lived. Despite the lack of enthusiasm, everyone had a great time. The pool will be in my backyard all summer, and I don’t doubt that there will be a few more Puppy Pool Parties in our future. That’s what summer’s for, right? 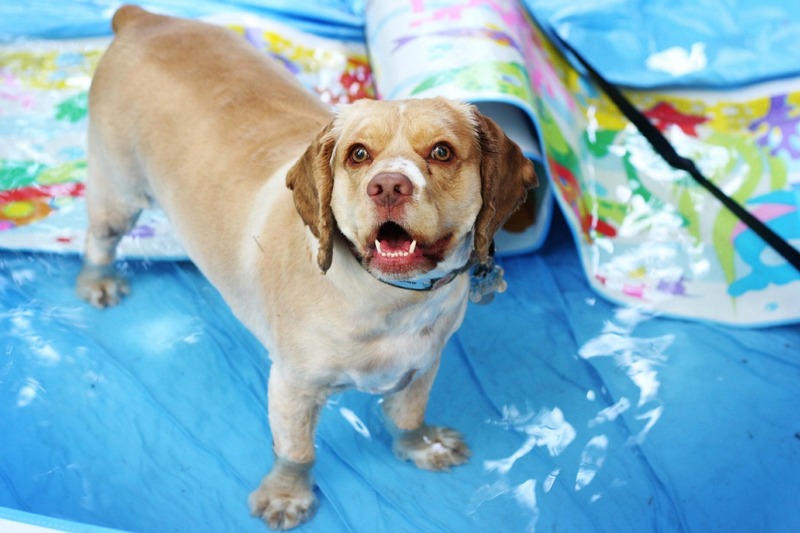 This entry was posted in Dog talk, Otis, Rescue/Humane Society and tagged cocker spaniel, cute dogs, dogs in pool, dogs playing in water, for adoption, fostering, kiddie pool, Monster, pool, summer, water. Bookmark the permalink. almost 2 years old and still SUCH a puppy. great pics j :) more otis/monster playtime soon! 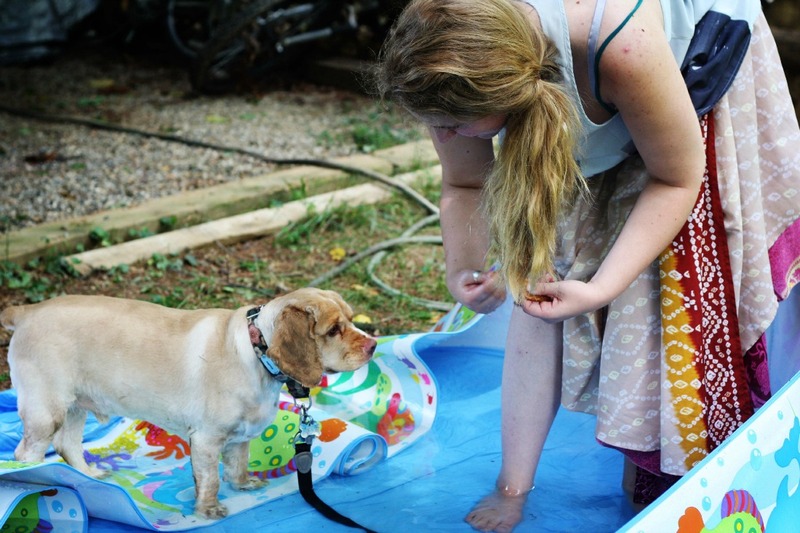 My Lainey girl was very hesitant about her pool at first too. And then one day she hopped in, splashed around…and the rest is history! Now the issue is trying to keep her out of it. I wonder if it is the big sides or the fact that it kind of collapses that freaks him out a bit. 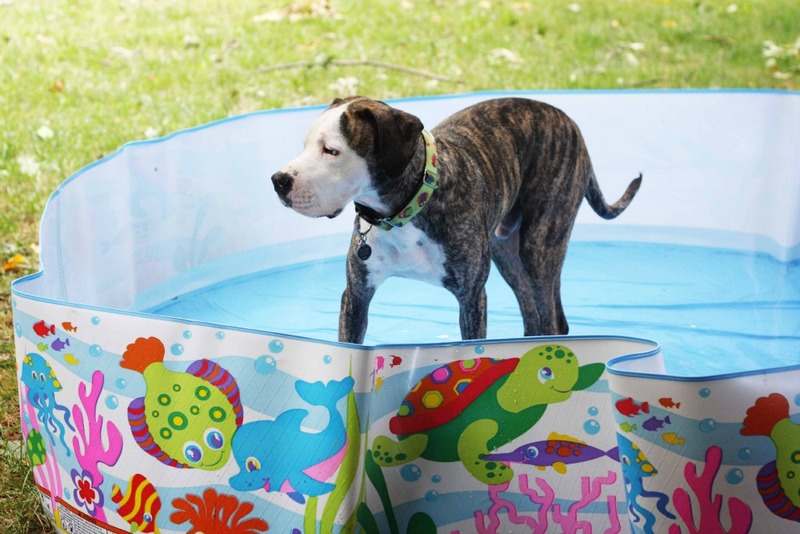 I have one of the cheap hard plastic wading pools for my Ollie. He can basically step right in and lay down (which he happily does every time it’s hot). You can find the hard plastic ones anywhere (Walmart/Target/etc). Plus there is less of a chance that doggie nails will rip the lining! I have a kiddie pool in the front yard; for most, it is a large water dish but for the Great Pyrenees foster, it is a fun time, too. Keep at it – bet they enjoy it by summer’s end :). Maybe it reminds him too much of bath time?